The Project Lead, Tom Willets, will divulge plans and answer questions. 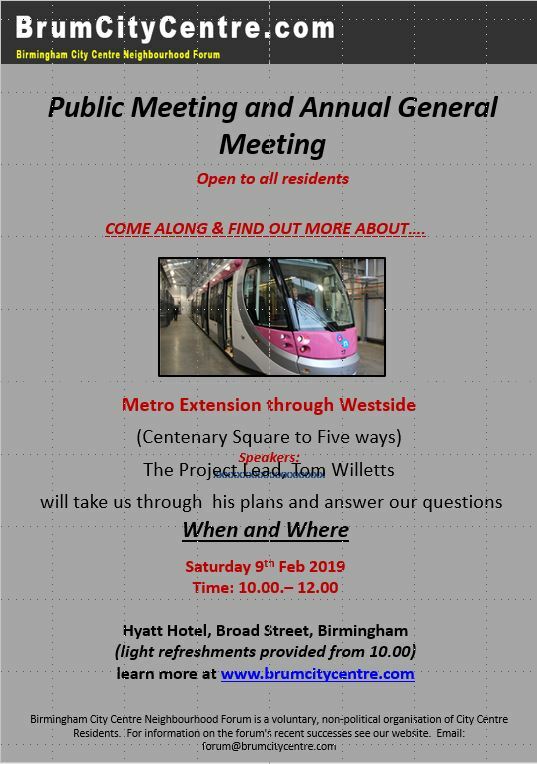 Find out the current status and future plans of the Midland Metro Tram through Birmingham Westside from Centenary Square to Five Ways. The meeting is free and there will be plenty of opportunity to ask questions and get knowledgeable answers. This meeting is the annual public meeting of the City Centre Neighbourhood Forum (CCNF), a small group of volunteers representing the community to the Council and other key organisations. 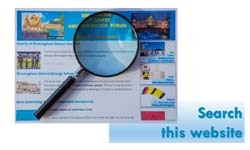 So, you can also raise other city related questions which will be gladly answered if the CCNF is involved in the subject. The meeting is informal and friendly. Light refreshments will be available. This entry was posted in Uncategorized on January 22, 2019 by Geoff Caine.